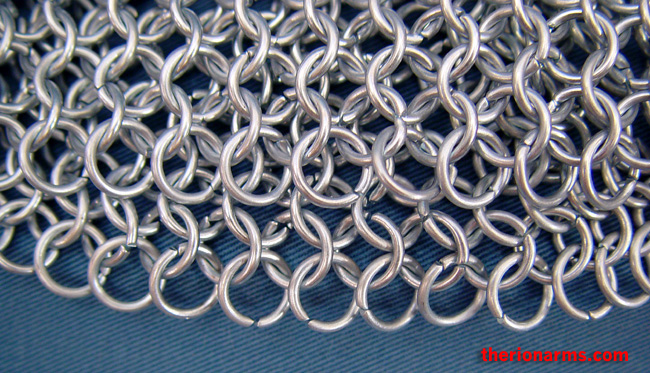 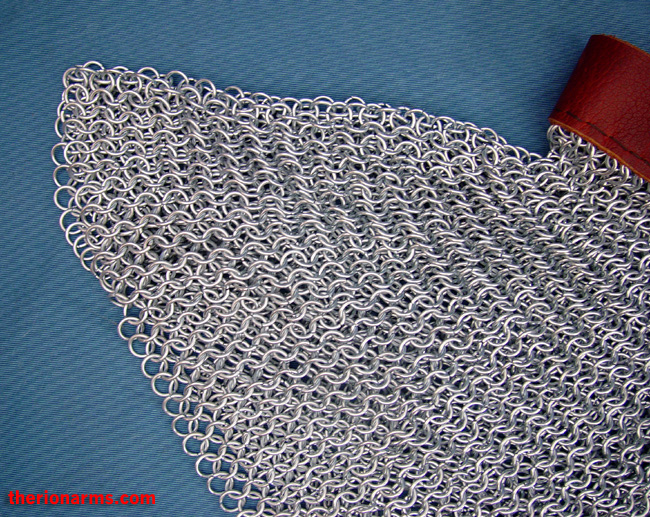 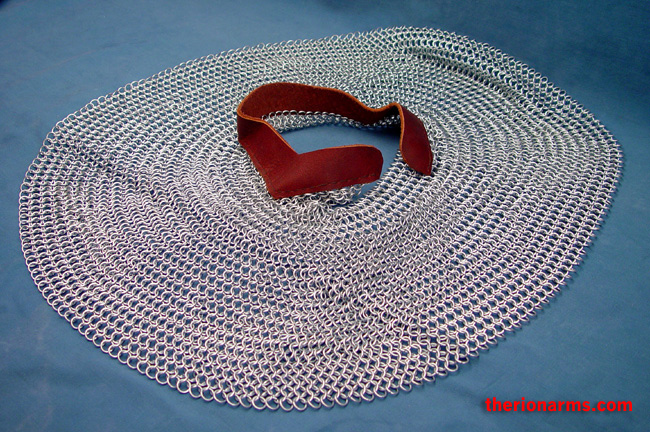 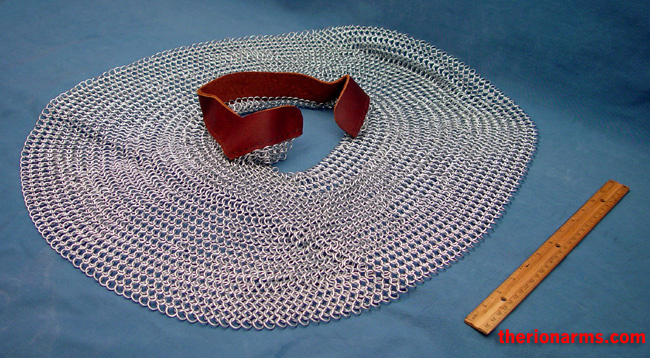 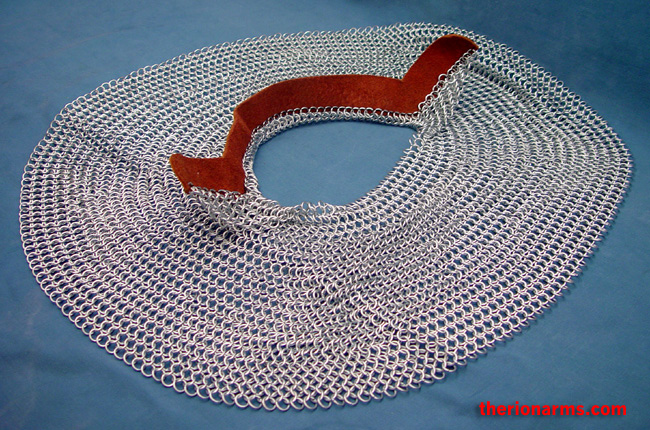 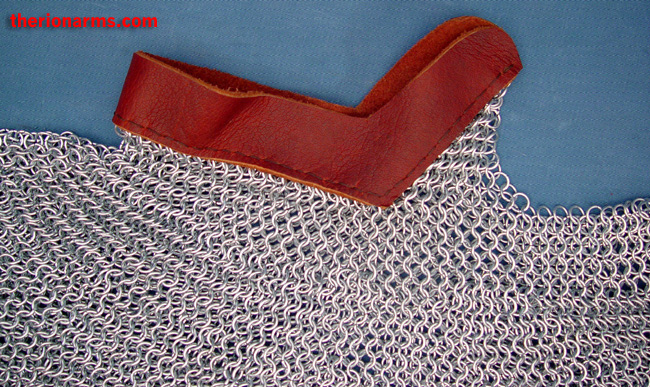 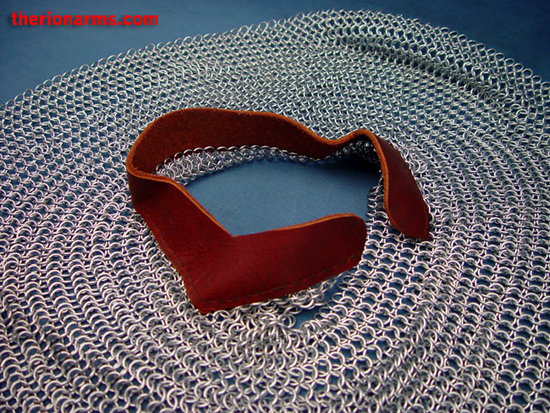 Aventail / camail / ventail / camaille - (noun) - a hanging neck guard of maille ("chain mail"), suspended from a bascinet or similar helmet to protect the neck, throat, shoulders, and collarbones. 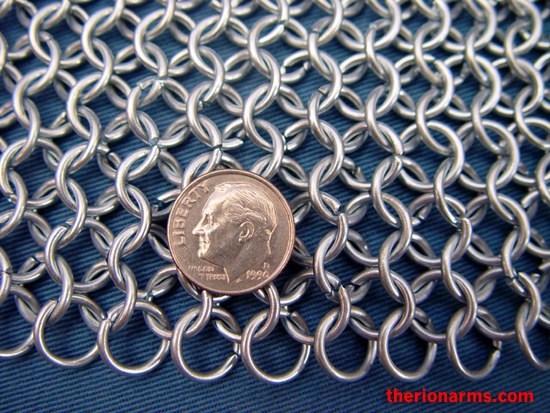 This aventail (hey, gotta pick one term sometime) is made from butted 16 gauge mild steel round wire with a zinc plated finish and an 8mm internal diameter. 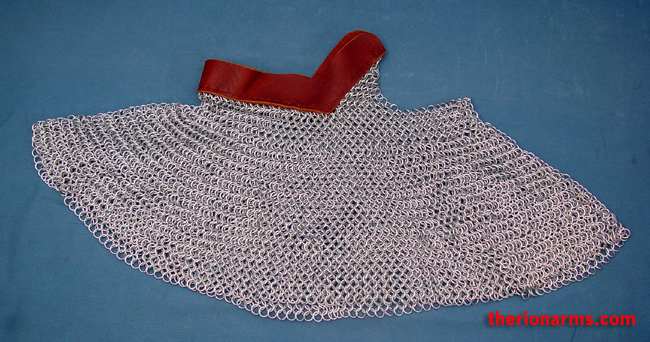 Will fit many different helmets, but was specifically designed to fit the GDFB Houndskull bascinet, the Klappvisier bascinet, and the Great bascinet, although it can fit any bascinet or other open face/smooth backed style of helmet. 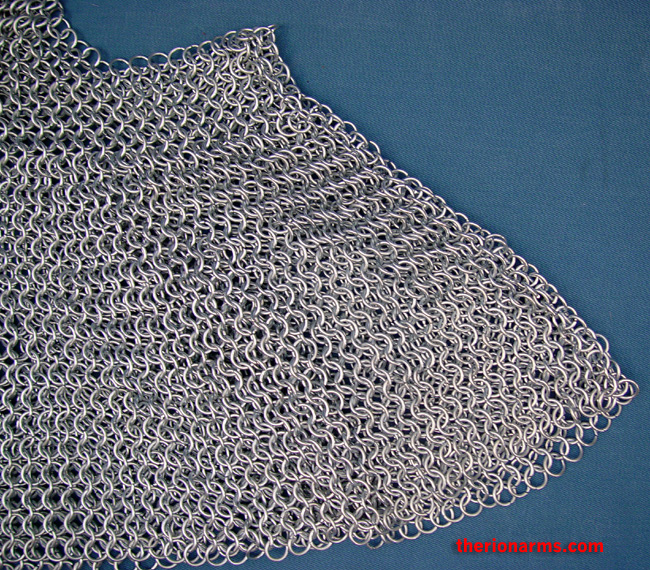 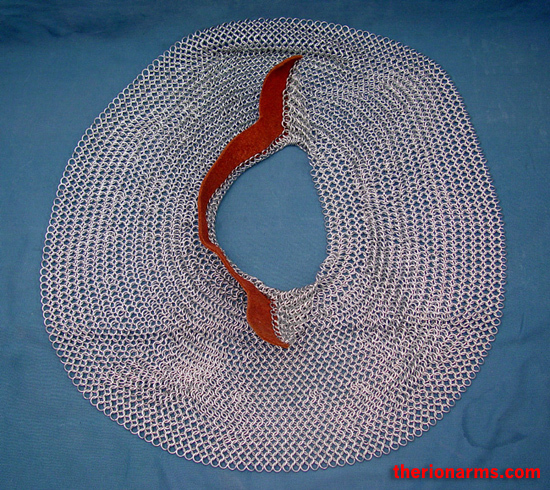 neckline to breastbone: 40 rows, 10"